Short version: It’s the same thing I reviewed a few months ago, but with wi-fi and an on-device store. 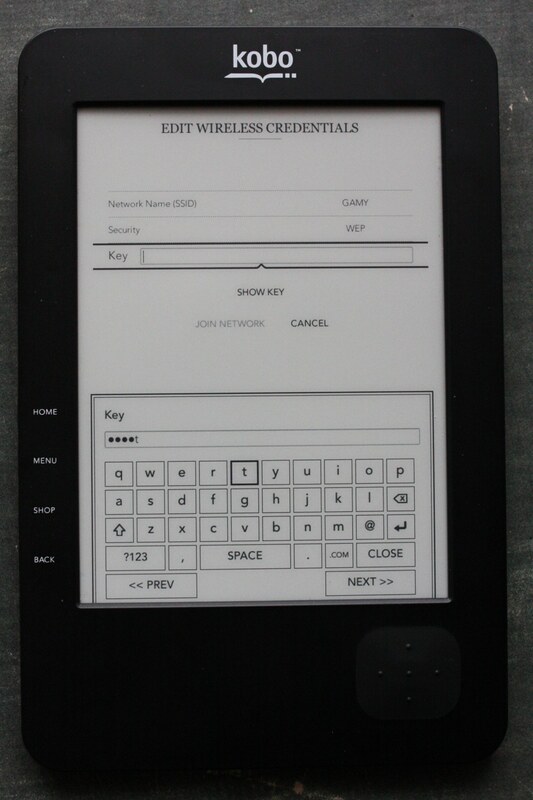 They work as well as can be expected on an e-ink device. 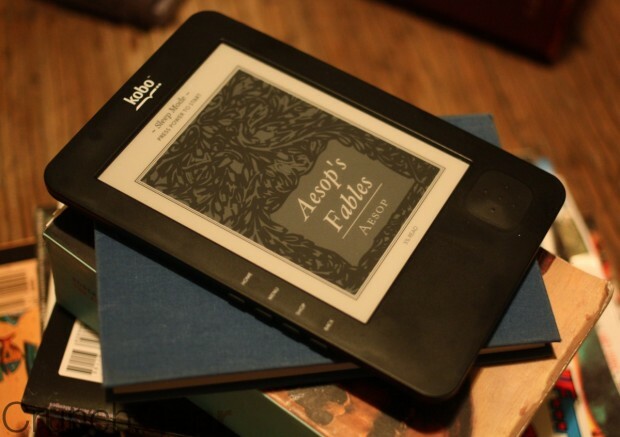 I won’t waste your time with the stuff I already covered in the initial review, since much of the device is the same — which is to say, a perfectly nice little e-reader with a clean interface, and a good alternative to the Kindle and others. Truth be told, a full review wasn’t really warranted, but hey, why not? The new functionality is the wi-fi and the on-device store you can use with it, as well as some newspapers and magazines, which I was unable to test because they are “unavailable in my area.” My area of the internet? Not sure what the deal there is. The wi-fi is accessed via the settings panel, where it automatically scans your area and presents the items with the best signal first. It detected mine (and my neighbors’) quickly, and I selected it to put in my password. Putting in text via the D-pad is frustratingly slow (think entering a long name in Legend Of Zelda), but the cursor is responsive and the little keyboard perfectly easy to navigate. Once that’s done, the device verifies the connection and then checks for updates. It found one and installed it, then needed a restart, a process that took a minute or two, nothing out of the ordinary. Once you’re connected, you can use their little store. It’s divided into books, magazines, newspapers, and such, and has the usual e-books categories: popular, NY Times bestsellers, free. Navigating the store, while not clumsy or anything, was slow, so I don’t recommend it to anyone in a hurry. Still, it’s straightforward and search results came up quickly with nice little greyscale previews. It’s go the new Pearl e-ink display, so contrast and sharpness are on par with the competition. I wish I could have told you more about the mags and newspapers, but I get the feeling they might be kind of a pain. They’re much more active layout-wise and such than most books, and a small screen like the 6-inch e-ink ones on most devices don’t show them to much advantage. It could be nice, though, if you’re unable to find your usual newspaper in a foreign land. 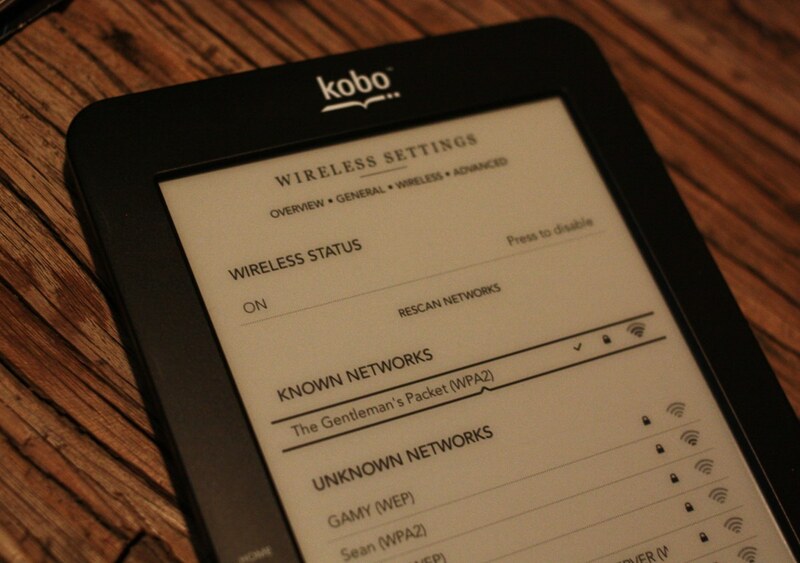 It’s a better version of the Kobo, but is it really a legitimate alternative to the Kindle? I think so. 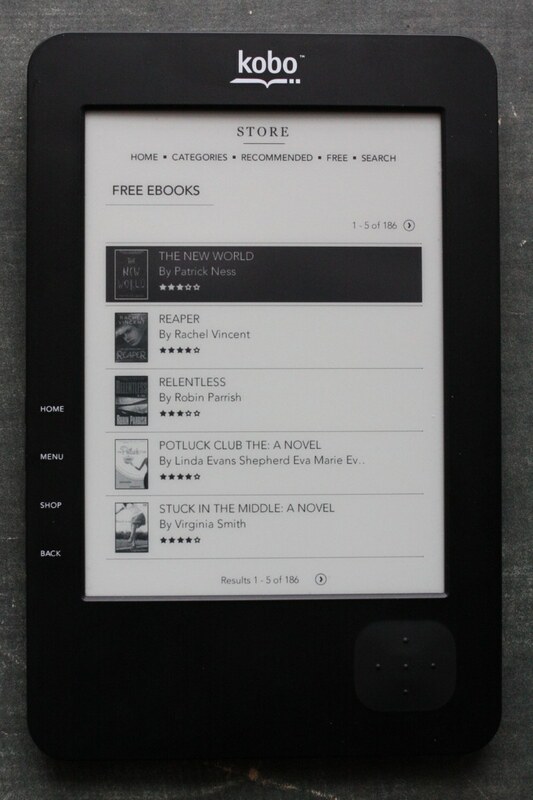 It’s unlikely that you’ll find many books on one but not the other, and personally, I like the Kobo’s look more, though for a heavy e-reader user, the Kindle is still the more practical choice, with its extra features. Still, at $139, the two wi-fi readers don’t seem terribly out of balance.